Professional builder and certified HRV installer. Call Richard for more information on Ventilation Solutions. Richard was born and raised in Fairbanks, Alaska. His father, Mike Musick of Ester Construction, is a builder who first started building super-efficient homes in the early 1980's. Most of he homes they built were air tight and also had an HRV installed to control moisture within the house. Richard started working for his father while in high school and worked his way up to crew foreman, learning first hand the best methods of planning for and installing HRVs in residential homes. In 2004, Richard teamed up with William Reynolds to help provide relief to a number of local residents who were suffering from forest fire smoke that accompanied over five million acres of wildfire. Together they formed Solutions to Healthy Breathing, a company which focused on using an HRV along with an air filtering system to provide healthy indoor air quality year round, regardless of the outside air conditions. By mid 2008, the company had grown enough to split into two separate entities. William Reynolds retained the business name of Solutions for Healthy Breathing, and is currently providing indoor air quality testing, mold testing, and radon testing. 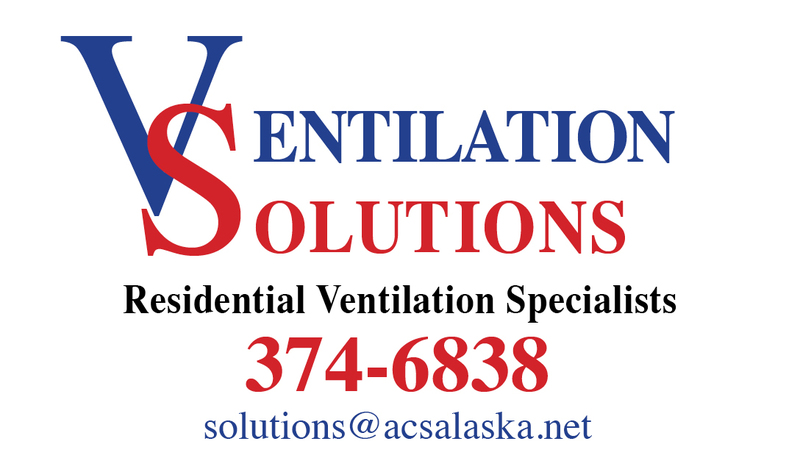 Richard Musick formed Ventilation Solutions, LLC, and is continuing to serve the Fairbanks, Alaska area with sales, service, and installations of HRV's and Air Filtration Systems, as well as radon mitigation. Our qualified HRV technicians will meet you at your site, or we will schedule a visit at our offices, for a personal consultation. We will help you design the ventilation for your home and recommend the best system for your needs. We also provide installation and maintenance services for all types of HRV systems.